Panel Trolley for 08 Buildpack Design. The trolley is based around a 1.5mm A Frame base, weld mesh back and solid sides. The weld-mesh on the back is re-enforced with flat (used as braces) so that hook brackets can be attached in order to store the 08 buildpack panels. 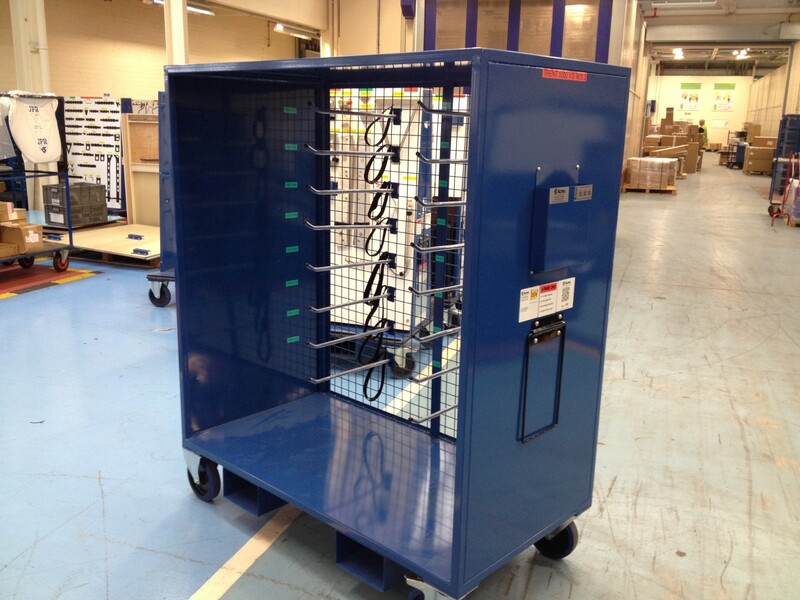 The trolley is finished in BS 4800 20D45 (Blue).